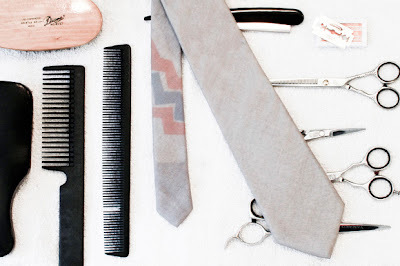 The New York based based shop, “Blind Barber” in conjunction with men’s accessory brand “C. Chauchat” linked up to create a limited edition necktie for the gentlemen of this generation. The collaboration features a necktie in a gray colorway with a slight hit of texture and color. A perfect accessory for this season, pick yours up at Blind Barber or select stockists.